In this example, we create a new layer that symbolizes only the Risk Trees in our inventory based on specific criteria. The following method will walk you through creating a dynamic layer, just like Tree Sites, Tree Health, and Tree Size that are common on most TreeWorks user’s maps. - We only want trees, no planting sites, stumps or removal sites allowed in this layer. - Only trees that have a DBH larger than 10 inches 1. - Only trees where risk is equal to "yes"
1. 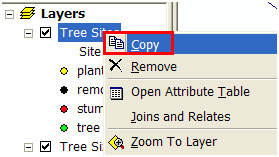 Make a copy of Tree Sites that we can modify. 2. Now paste our new layer back into the Table of Contents. 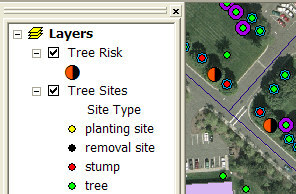 Right click on Layers > Paste Layer(s) Notice how we have to Tree Sites layers on the map. The very top Tree Sites Layer is the one we just added. Now we can work with this layer to symbolize our risk trees. 3. 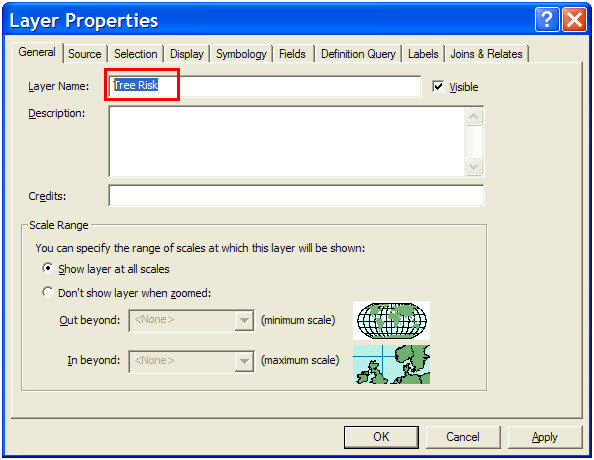 Double Click on the top Tree Sites Layer to view the Layer Properties dialogue. 6. Make your Query builder screen look like the following image Click OK on the Query Builder form. Note: In this example we only have risk values of "yes" and "no", since risk values are user defined, you will have different values that reflect your own organization. 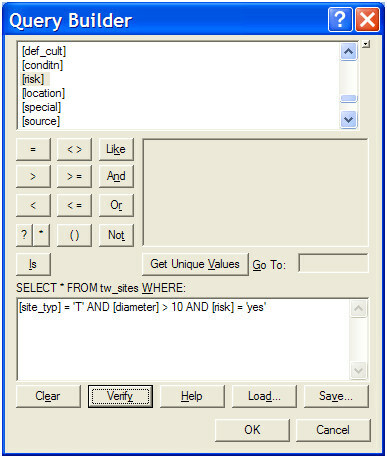 These values are set using the TreeWorks Configuration tool. 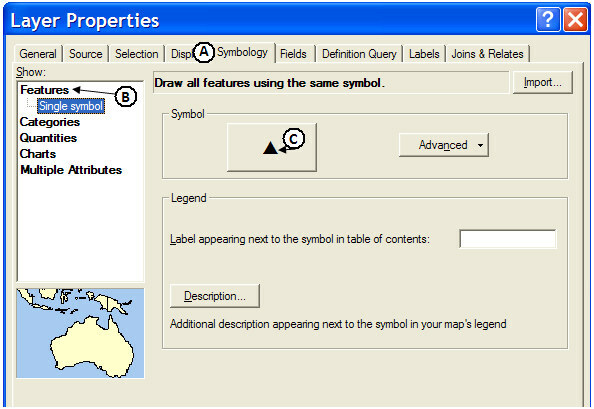 This Query Builder is powerful and found throughout ArcMap. You can use this query builder to fine tune any query against any vector layers on your map, not just Tree data! After adjusting the symbology, we now have a layer that shows us where the risky trees are based on our search criteria. One benefit of using this method is we have a dynamic layer that will automatically change based on the attributes of Tree Sites. In other words, if we elevate a tree’s risk value it will automatically show up in this new layer. On the other hand, if a tree’s risk value is reduced it will no longer be symbolized in this layer. Layers are stored in the .MXD file so if you're happy with the results of your new layer then don’t forget save your map. You can also share a layer you created with your co-workers by right clicking on the new layer click “Save As Layer File…” which will create a .LYR file that other can add to their own maps.